Tonight is the night! Can’t wait to see you! For more details click here. 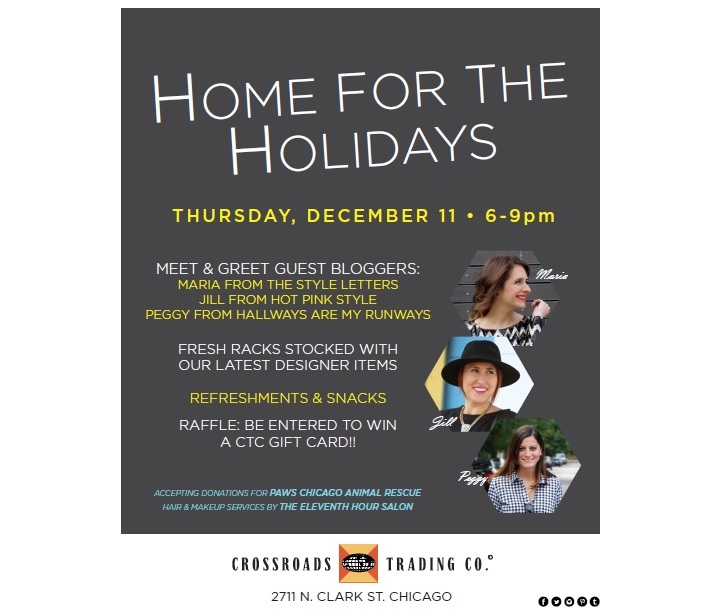 Join me, Maria of The Style Letters and Jill of Hot Pink Style on Thursday night for a fun event we’re co-hosting at Crossroads Trading (2711 N. Clark St.) from 6 – 9 PM. Crossroads is my favorite buy-sell-trade shop. They have gently used clothing along with new items and even designer pieces. Secret is that the Lincoln Park location has been saving up some amazing designer pieces for the event, so you don’t want to miss out ladies and gentlemen! There will also be sips and snacks along with hair and makeup services by The Eleventh Hour Salon. Crossroads will also be accepting donations for PAWS Chicago Animal Rescue because who doesn’t love saving cute puppies?! 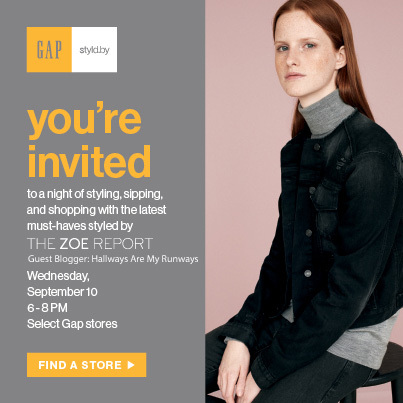 Join me for a fun evening of sipping, styling and shopping at Gap Southport (3416 N. Southport, Chicago) Wednesday, September 10th from 6-8PM. Get ready for fall with the new line #dressnormal with tunes, in-store deals, prizes and many more. Trust me on this one, you’ll want to check it out! Teacher with a budget friendly closet.